Great hat! Thank you. Hate to say it but more snow expected tonight! I know its ridiculous. 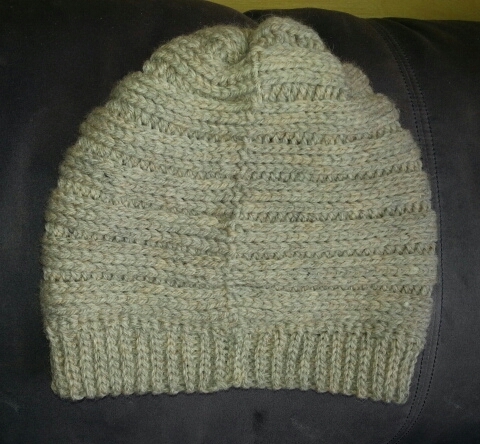 I made the hat Saturday… while it was snowing and of course there’s more coming already. Thank you so much, I’ve been looking for a crochet version of the worm hat! 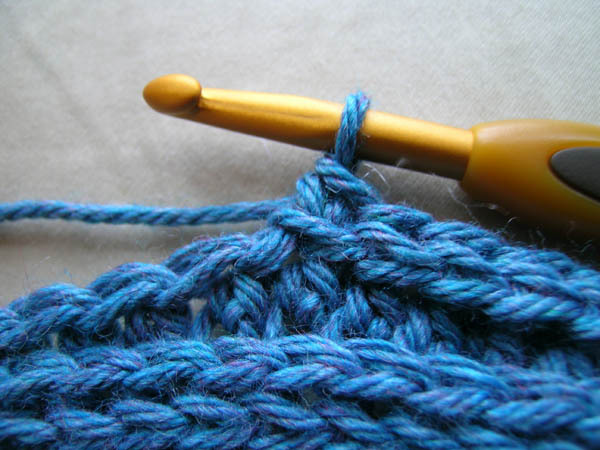 Pattern will NOT print from your website or Ravelry…..only 1 page with no pattern. 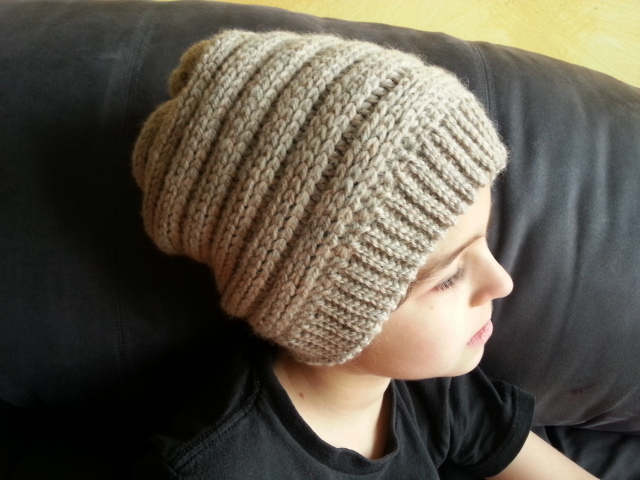 Trackback: Beanies for the Big Boys: Free #Crochet Hats for Men! I wish you had a video tutorial along with this! I haven’t done any crochet videos yet, but I know this technique could really use one. I’ll see what I can do to put one together. I was also looking for a crochet version of this hat. I’ve been meaning to make a video for the hats and sugared ribs. I need to make a hat for my son this week so I’ll finally give the video a shot. I know a video would really help. I do not have any videos, but I have been meaning to make some for a while. I know the hats could really use some. I was just playing around with angles of my laptop camera and may actually be able to work with it for the videos. I will need to wait for this weekend though and shoot in the daylight so it’s not too grainy. 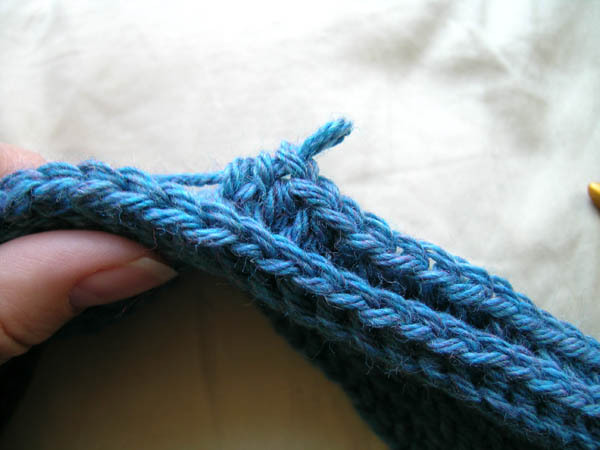 I was looking to see if I could find any online for the slip stitch ribbing connecting to an edge, but don’t see any. 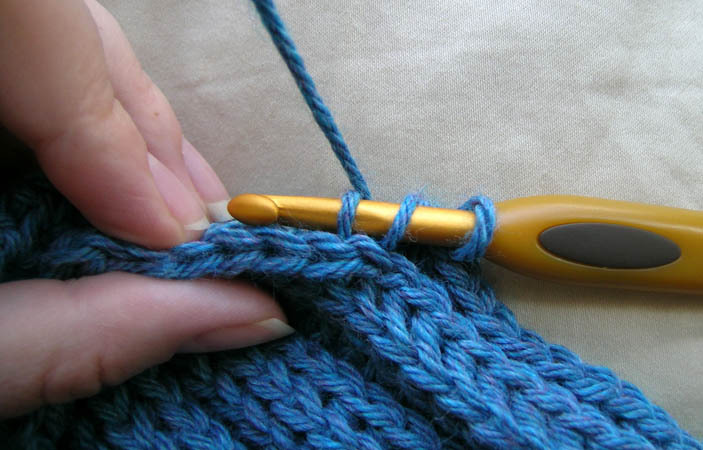 Doris Chan uses ribbing edges in several parts of the Everyday Crochet book if you happen to have it. Her Sash-A Belt uses slip stitch crochet. 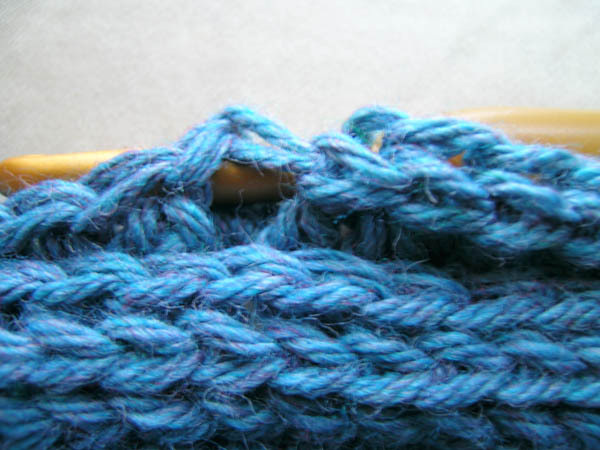 The edging of the hat is a combination of the two. I am definitely still learning when it comes to hat sizing. 78 with Paton’s Classic Wool would have fit my son last year when he was 7. 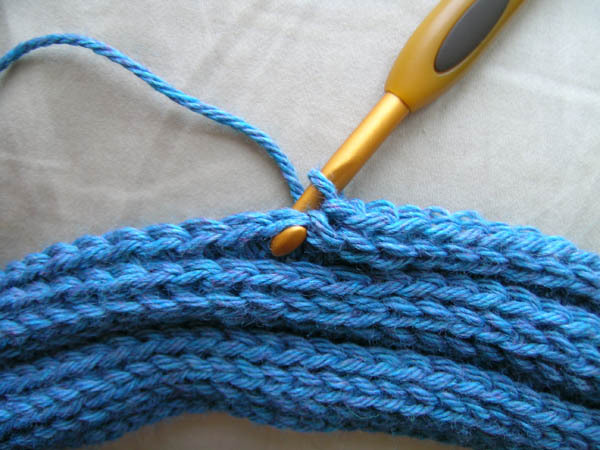 Of course gauge and yarn choice also play a role. If I made the hat again for me, I would probably add a few more stitches. My husband actually took both my No More Snow! and Big Worm. He has a big head. No More Snow! (the one that was mine) is a little small for him, but it works. Big Worm (which was intentionally big on me) fits him perfectly. 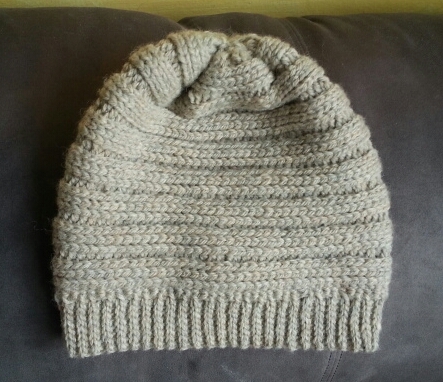 Since I am now hatless and my son lost his hat at the end of last winter, I really need to make some more ASAP and will work on a writing a post on hat sizing. If you make it and have any feedback, please let me know. I know the quality isn’t great, but I hope it helps. I love this hat! Just finished the body of it for a friend’s Christmas gift. I had to add about ten foundation stitches (used husband as a guide for size :). But now I am really lost on the ribbing. Your pictures of the stitches really helped me understand (visual learner) so if a video isn’t a possibility, maybe some more pictures would help? I’m glad you like the pattern. 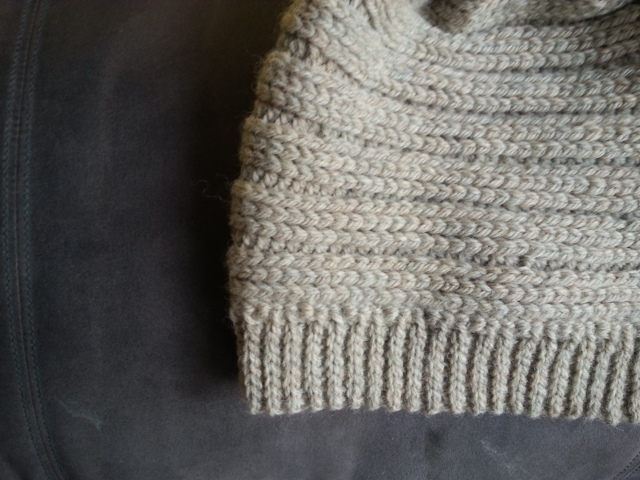 Interesting to know that the ribbing has been more difficult to follow than the body of the hat. I thought it would have been the other way around. I’ve been working on videos for a while tonight. So far it hasn’t been going that well. Apparently it’s not that easy to find a good angle to “watch” someone crochet. Webcam video is horrible and cell phones have the whole “Help, I need to be charged” thing going on. If the videos don’t work out, I’ll get pictures up by tomorrow night. I’m still fighting with my cell phone. Hopefully I win. I’m glad it helped. Yes, attach the yarn with the inside of the hat facing (not sure it makes that much of a difference either way). I have been thinking a lot about the little boy you are making the hat for and am sending good thoughts and prayers his way. I’m glad you got through it. I hope the boy you made it for likes it and it keeps him warm. Hi! I made your hat, then patterned a scarf off of it. May I provide a direct link to your blog (and proper credit, of course)? My blog is at c3crochetdesigns.wordpress.com. Thank you! Hi, I am loving the way this hat is turning out! One question, though. I am trying to figure out how to do the HDC2TOG in BLL. Do I do 2 HDC in 1 BBL, or do I do 1 HDC in 2 BBL? Thanks for the great tutorial! It is an HDC decrease in the BBL so it is 1 HDC worked over 2 stitches to decrease from 2 to 1 stitch. These are the instructions for a regular HDC2TOG. You’ll be doing it in the BBL instead. I just found this pattern on Ravelry and I plan to try it out. I make hats to donate to Operation Gratitude’s Scarves for Troops program. Thanks for sharing. I am following you as well. Cute blog!!!! Unless I’m missing it, you never actually say what to start with for an average ADULT sized hat? Round 1 starts with a foundation round of 84 stitches for an adult size hat. Hello! I love this hat and I’d like to make it as a gift. 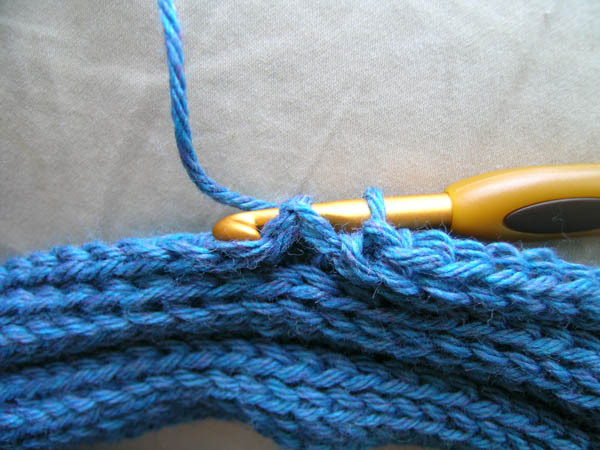 I am a newer crocheter and I am very confused at this part, “Make sure the foundation row is straight, put the two ends side by side, yo, insert hook into top two loops of chain of working side, then insert hook from the back to front of two loops of chain of the other side, yo, pull through both sides and pull up a loop, yo, pull through all loops on hook, ss to connect to top part of stitch. (84)” I’m not entirely sure what is going on. I think I’m confusing the language. If you could clarify for me I’d greatly appreciate it!! Don’t feel bad I’ve been crocheting for a while and I can’t figure out what’s going on there help help we need clarification! 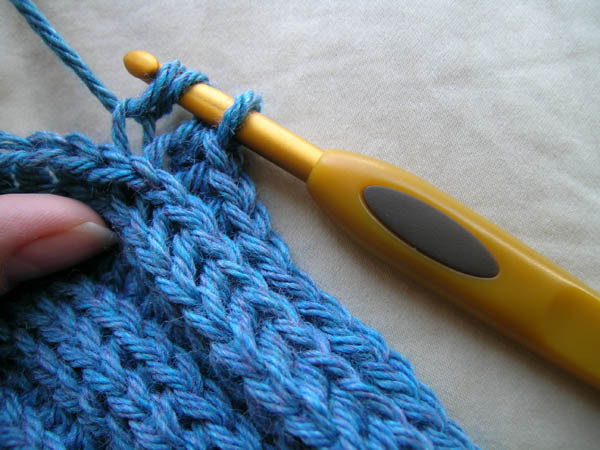 Hi Ahender, There’s a video showing how to connect the 2 ends of the foundation row on the crochet video page. You can also find it at https://www.youtube.com/watch?v=akxzY4Qpw3c. Awesome! !!!!! Thank you! !! Made this today. Great hat! I used Caron Cakes yarn so it is super snuggly and rad colors. 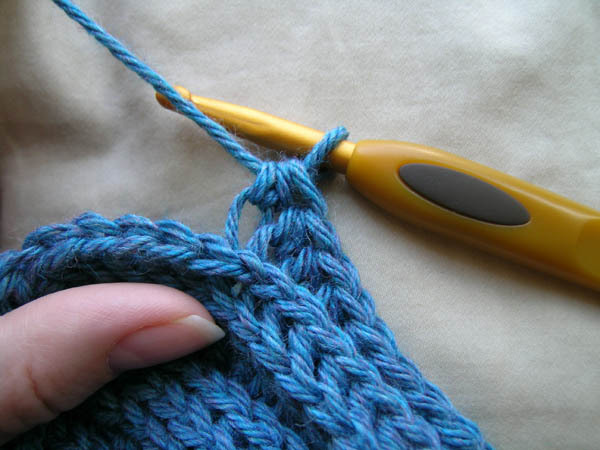 If I make it again, which I plan to do, I will add more than just 6 repeats of rows 2-4, maybe 8… Thanks! I will have to check out your other patterns! LOVE this pattern! I made a couple minor modifications and it has turned out to be my new go-to slouch beanie pattern – THANK YOU for making this available and providing the tutorials! I realise this is 4 years old, but it looks great! Would you have a pattern like this or wurm for dk size wool by any chance? Hi Jo, I dont have a pattern for this hat in dk yarn but you can try increasing the number of stitches in the base row to make it wider and increase the number of repeats to make it longer.